Guadeloupe Islands has recorded a 26 percent increase in hotel room night bookings in 2013 compared to 2012. 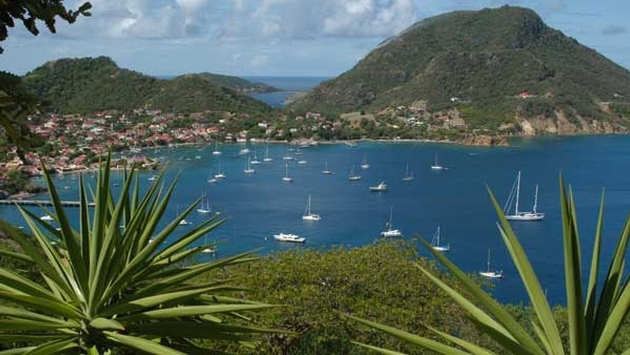 As a result, the French Caribbean archipelago has become one of the Caribbean's rising destinations, according to a recent report by Kuoni Global Travel Service. While mainland France continues to be the largest source of visitors to Guadeloupe Islands, Germany, Sweden and the United States have become the destination's fastest growing source markets in 2013. The uptick in arrivals from the United States is attributed to new airline routes which opened in spring 2013. New flights include American Airlines weekly nonstop service between Miami and Pointe-à-Pitre and Seaborne Airlines, in code share with American Airlines, nonstop service four times per week between San Juan and Pointe-à-Pitre. In November 2013, the destination became even more accessible for US travelers with JetBlue new interline agreement with Seaborne Airlines. JetBlue travelers will now enjoy a seamless connection in San Juan without having to claim and rechecked their luggage. JetBlue-Seaborne Guadeloupe Islands tickets are currently available for travel professionals to book in GDS and will be available on JetBlue.com in the first quarter of 2014. "This surge in room night bookings is an encouraging result of the strategic programs and industry alliances we initiated this year to prominently position Guadeloupe Islands in the US market, said Willy Rosier, Director General for the Guadeloupe Islands Tourist Board. "We are delighted by the positive reception and remain strongly committed to the development of this market. In 2014 we will be amplifying our strategy to continue building awareness, promote niche markets, attract new air service and cultivate partnerships. "2014 will also be an exciting year to be in Guadeloupe Islands as we are the finish line for the world-acclaimed Route du Rhum transatlantic sailing race which starts on October 24 in Saint-Malo, France and ends in Pointe- à-Pitre on Nov. 2, 2014".